Plastering is always considered as the best way to restore the damp on the walls. It involves the careful mixing of various materials which is not possible for anyone to know. But, there is no need to worry about such things anymore. We, London Local Builder are here to give you a perfect plastering result. Our team of professionals has amazing knowledge about the plastering. With their years of experience and professional skills, they can convert your old house walls into a completely new one. It will make you feel like the walls have revived again. You can achieve the best look and design of London on your house walls through our plastering service. 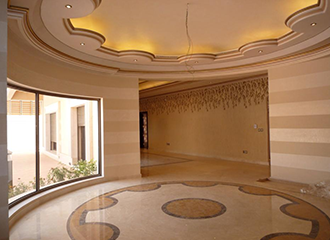 We take the plastering work as an art and try to give the best to our clients. When it comes to plastering, we do not compromise with anything at all. The reputation of our company, London Local Builder is gained through years of hard work and dedication in the field of plastering. We love to keep our reputation high in the market for which we always try to work as per the demands of our customers. No one has ever got any problem with our plastering service. Our prices are also very low as compared to other companies in London that provide the same service. It is guaranteed that you will not get disappointment by our service. Your house will be taken cared as our own.